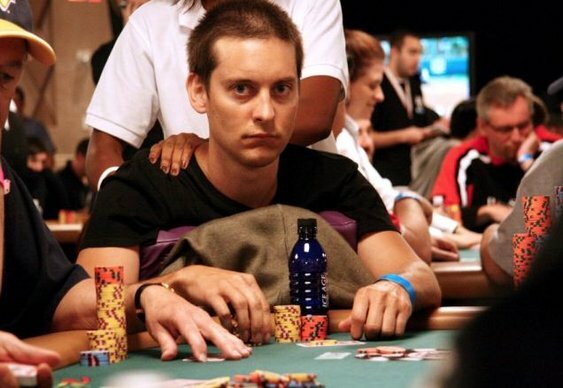 Earlier this year we brought you news that actor Tobey Maguire and 21 other players, including former High Stakes Poker host Gabe Kaplan, had been sued for their involvement in a high stakes poker game. The legal action was brought by a group of investors trying to recoup money scammed in a ponzi scheme which was then used in the high stakes Hollywood poker games. The Spiderman star was said to have won over $300,000 from hedge fund manager Brad Ruderman who reportedly lost $5.2m of investors' cash in the twice-weekly games held at luxury Beverly Hills hotels. Ruderman is currently serving a jail term on two counts of wire fraud and two counts of investor advice fraud. Maguire has agreed to pay $80,000 to bankruptcy trustee Howard Ehrenberg who will in turn repay Ruderman's former clients. The 36-year-old maintains that he and the other players were unaware that the money won came from illegal sources and agreed to the settlement to avoid a potentially costly court case. 14 of the 22 players involved in the case have now settled, including former High Stakes Poker host Gabe Kaplan who has agreed to pay $26,900.